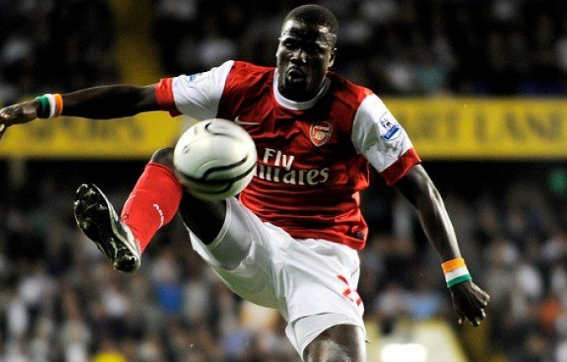 Fans favorite, Ivorian Emmanuel Eboue is to feature for Arsenal Legends against Real Madrid Legends. It will be recalled that in Dec 2017 Eboue was reported by a certain blog to have committed suicide by hanging himself on a fan in North London. Konet-Tv quickly follows this up with frantic calls and detail analysis of the said “Breaking News” and we posted a rebuttal, which came as a huge relieve to his fans and everyone connected to Arsenal. That period marked a difficult time in his life, following the collapsed of his marriage and the subsequent legal battle that saw him lost his assets, spiraling debt that saw him sleeps at friends couch and running from bailiffs. Emmanuel Eboue is included in the Arsenal’s Legend team that will be facing Real Madrid today, he has been taking Questions from Fans and it has been a joy to see him once again!